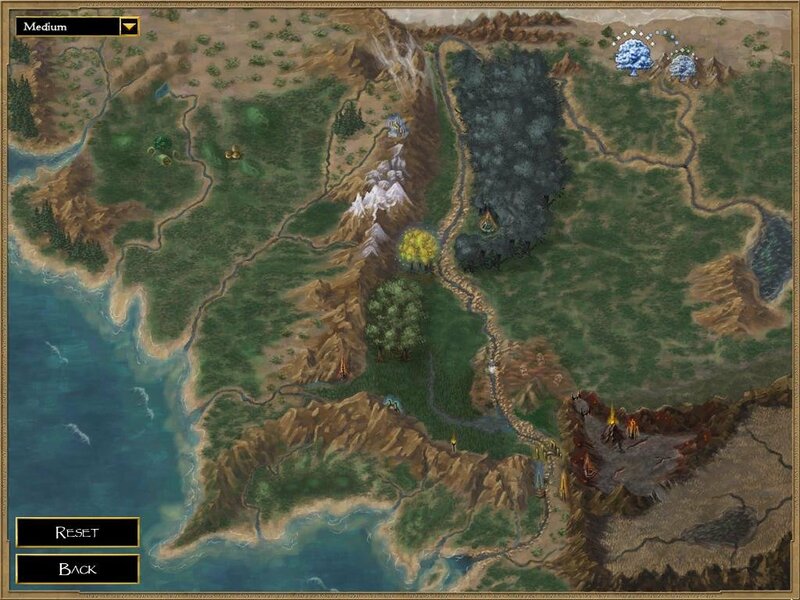 Warcrafting a quality strategy game. 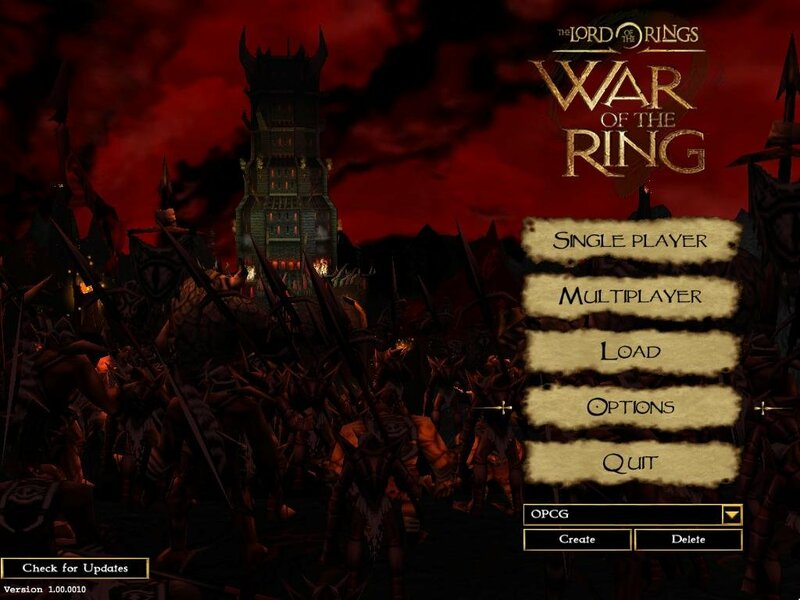 While Lord of the Rings: War of the Ring does little to revolutionize the real-time strategy genre, it does serve Tolkien’s Middle-Earth admirably while letting you control the actions of the majority of its most storied denizens. Frodo, Gandalf, Aragorn, Gimli, Legolas, Saruman, Gollum — they’re all here at your humble command, and so is the cast of thousands that make for such engrossing conflicts in the novels and movies. 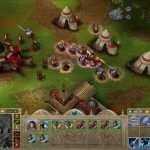 War of the Ring features two playable factions, good and evil, and two resources, food and ore, although economy seems an afterthought. As you’d expect, the good side is top-heavy with heroes, but the evil side makes up for it in balrogs. 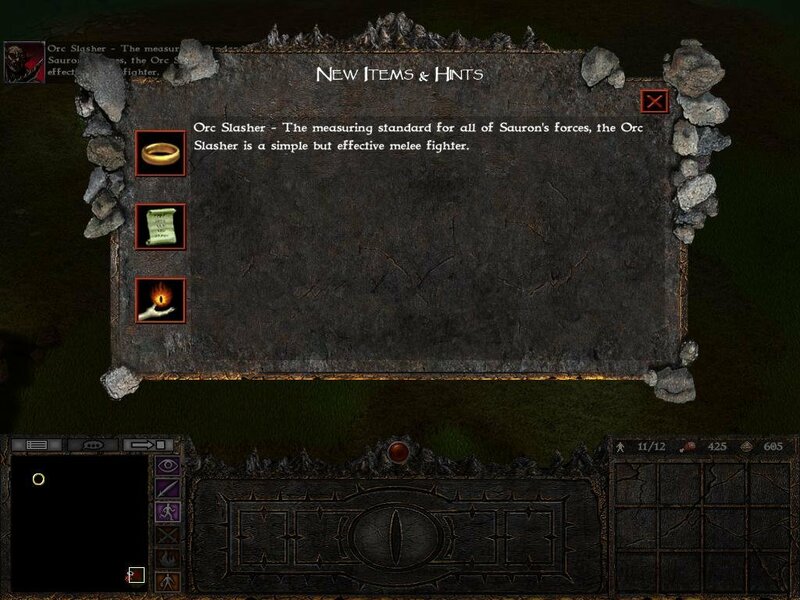 The single-player campaign lets you play as both in a fairly epic storyline that begins some time around Sauron’s rise to power early in the Third Age and wraps up at Helm’s Deep. 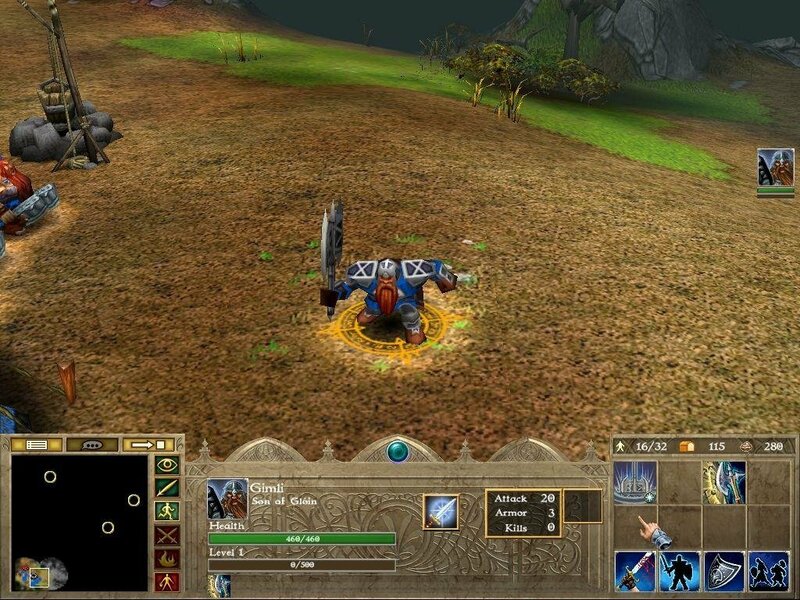 Taking another cue from WarCraft III, the game allows you to control heroes who gain new skills and stats with battle experience. Likewise your lesser troops, which range from Riders of Rohan and Dwarvish Axmen to warg riders, giant spiders, and giant balrogs. 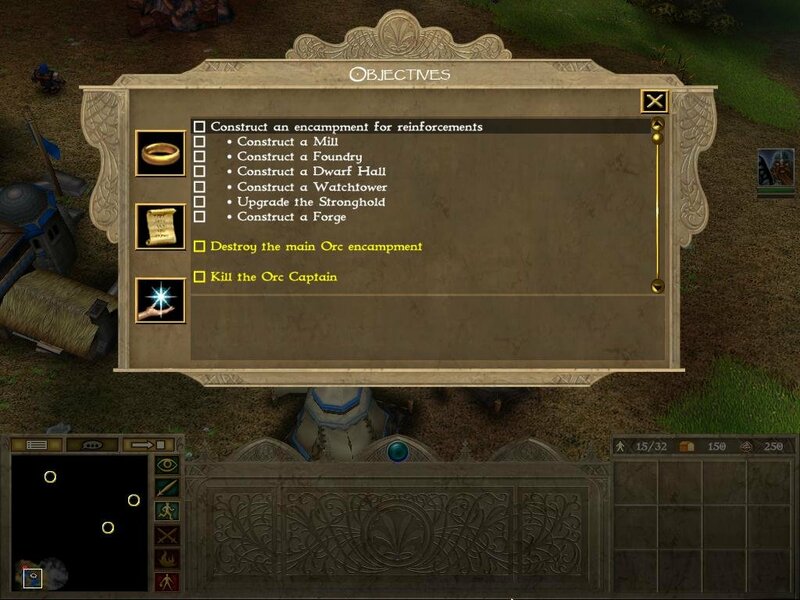 Each of the game’s two campaigns sports 10 missions. 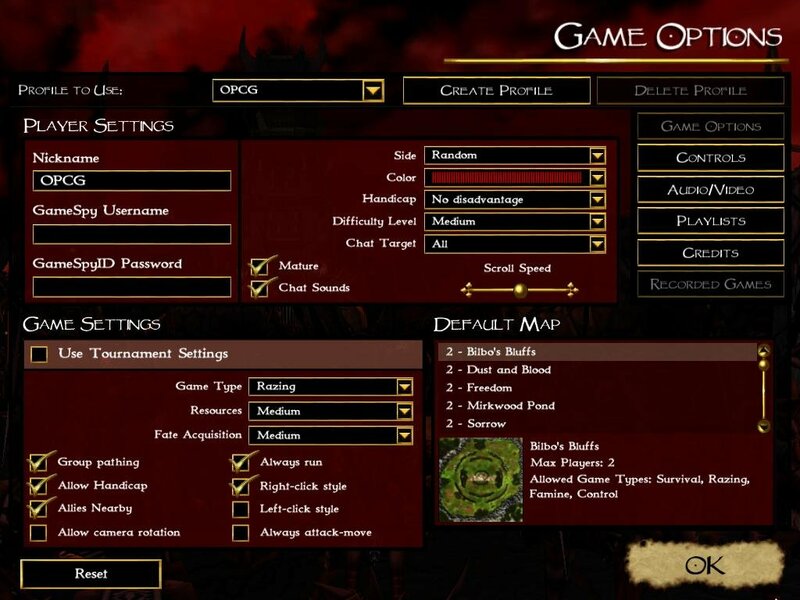 A typical mission places you in control of a major hero or villain, leading your forces in a scene plucked from the famous clashes between Light and Dark (labeled “Good” and “Evil” in the game). Some narrative gaps in the continuity are cleverly filled in along the way: for instance, the Good campaign tells how Gimli, Aragorn, Boromir, and Legolas ended up at Rivendell to become members of the Fellowship of the Ring, while the Evil campaign relates how Saruman’s minions were able to break out of Mordor and launch their attack. 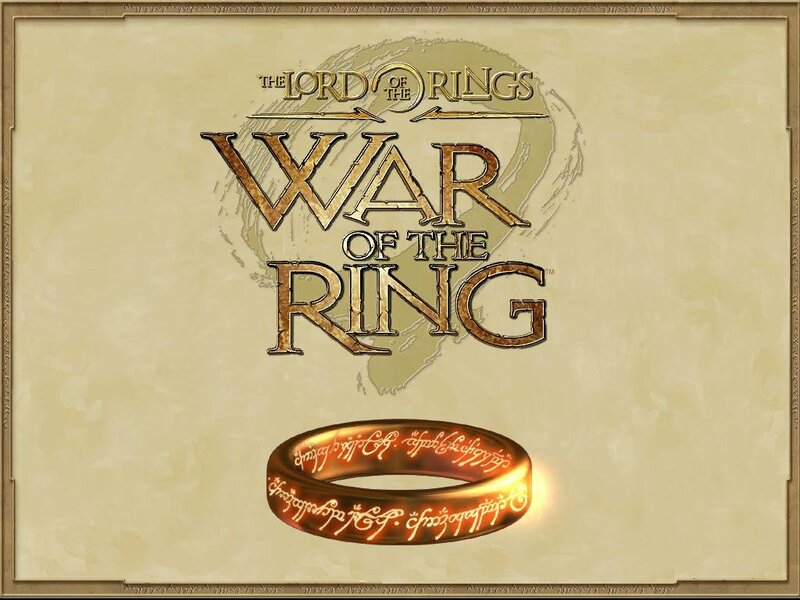 For all its shine and narrative, the bare bones of War of the Ring uses standard RTS rules of engagement. 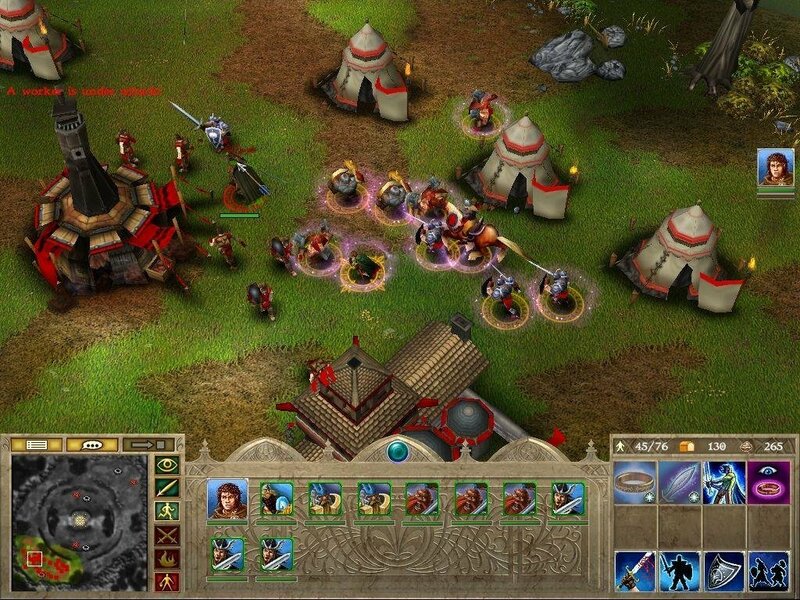 Each mission starts you off with a handful of troops and a few buildings, from which you assemble the largest army possible with the resources available, and then annihilate the enemy presence from the map. Repeat until end credits. The hero characters aren’t anything new either – Warcraft III made them standard – but the ones here do ring true to Tolkien’s broad fiction, from their style of play and excellent voice work to their attire. 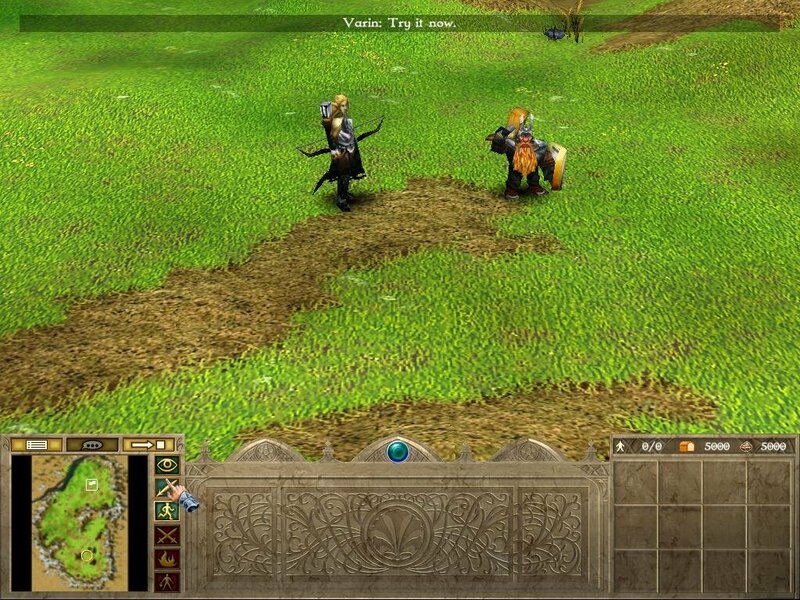 The interface is great and the units are well animated. My one gripe with the artistic treatment is that my personal picture of Tolkien’s world is much more gritty — closer to what you see in the LOTR films — whereas War of the Ring is more akin to the cartoony feel of Warcraft III. 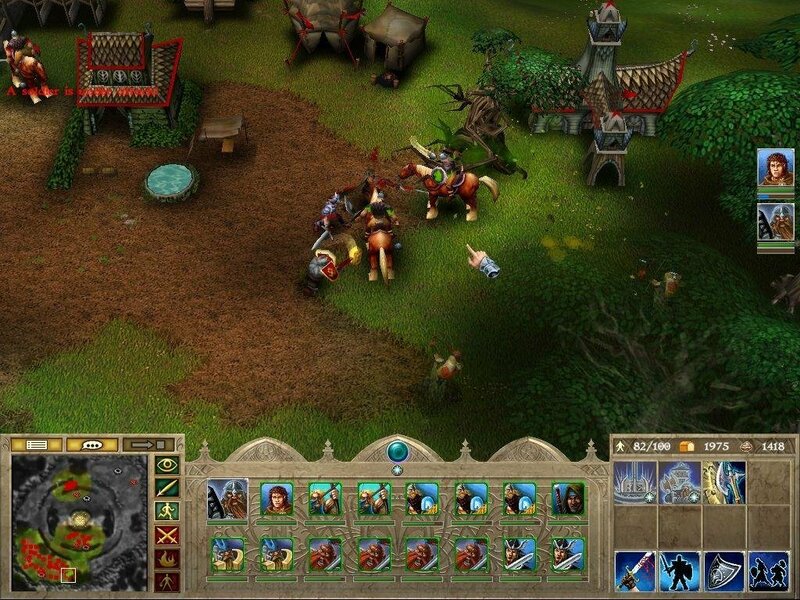 Also, the story is told in a strikingly similar fashion to Warcraft III, with in-engine cinematic breaks and “talking heads” that sit in the lower-left corner of the screen. 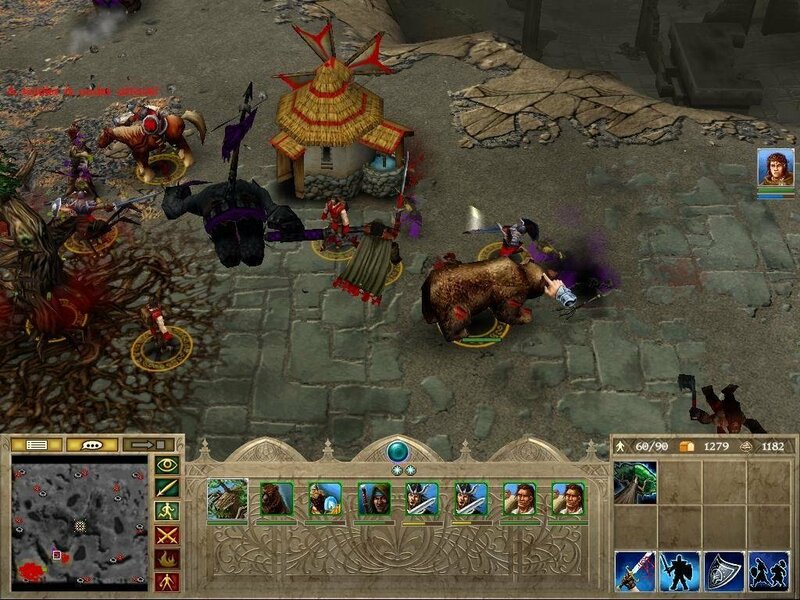 As a result, War of the Ring feels even more like Warcraft: War of the Ring. 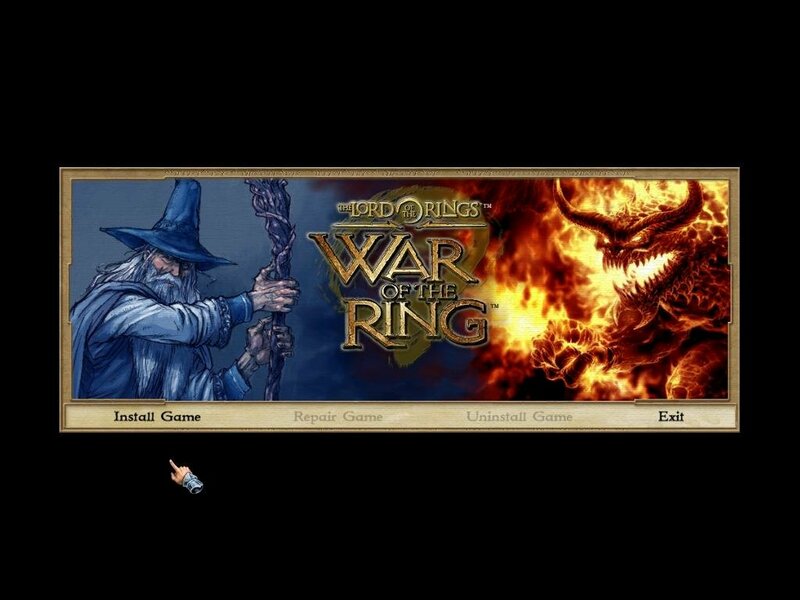 The best part of this simplistic approach is that the game is accessible to the masses of Tolkien fans for whom War of the Ring may be their first RTS. The tutorial is very good, and it even supplies some laughs. The Good campaign is structured to step you through the basics of unit movement and build orders, and it doesn’t become challenging until the very end. 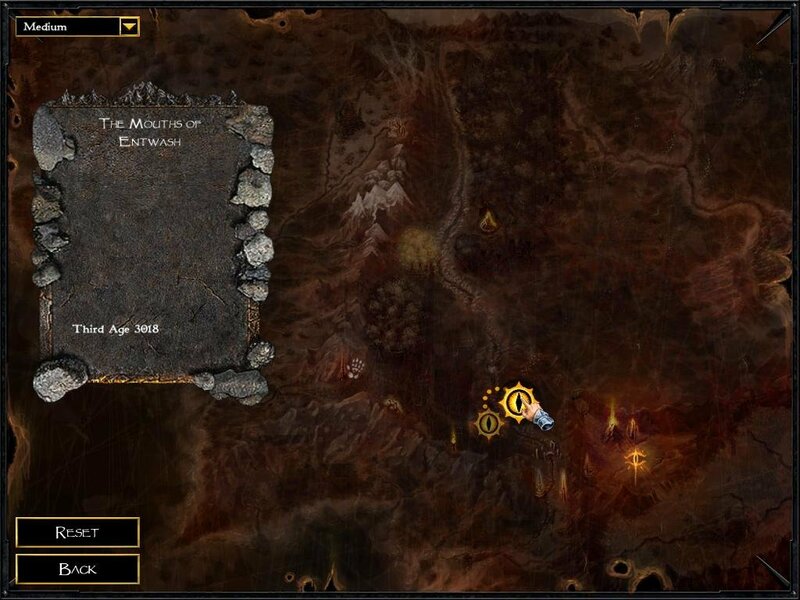 The Evil campaign is dramatically tougher, but far from insurmountable, and is in fact structured such that you play it after completing the previous campaign. It’s likely that new players will stick through to the finish. 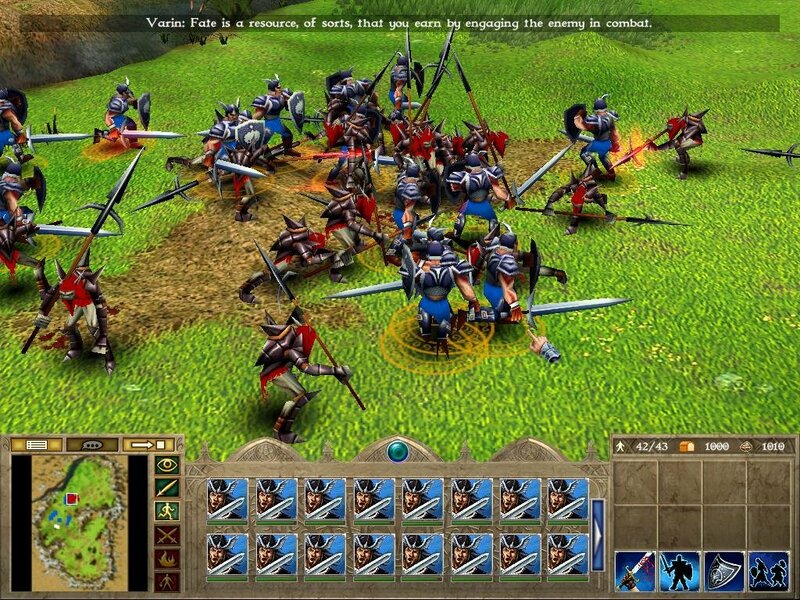 More experienced players, however, may be turned off by the lack of more sophisticated gameplay options. For example, you’ll find only rudimentary patrol systems to set up for your units — waypoint commands or formation changes aren’t available. Your units (except for heroes) don’t gain experience, and nothing you build carries over to the next level. 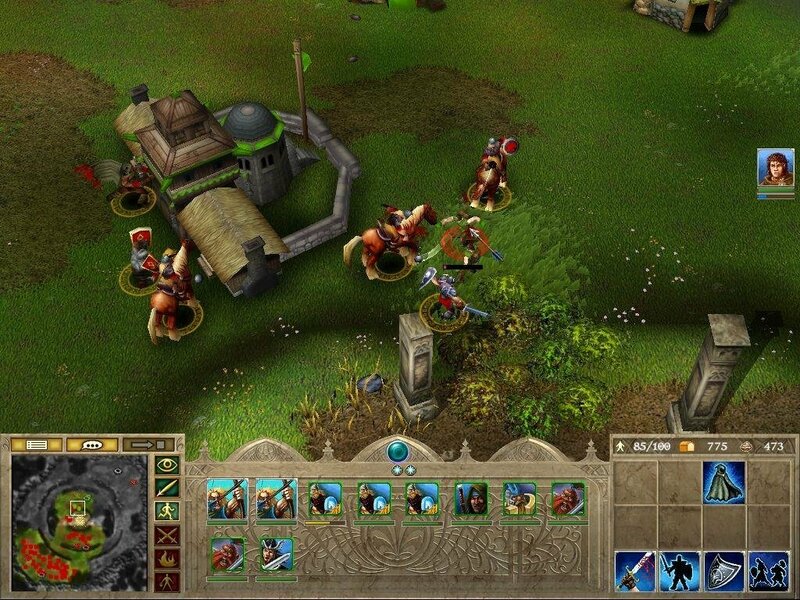 Compared to such RTS games as Age of Mythology, you’ll notice the much smaller variety of unit types and building options. And while the terrain is rich in detail — trees, fields of grass, hills, valleys — your strategic use of it is limited. You can’t use high ground to set up ambushes, for instance. You may not have a ton of units to construct, but what you do have is very well-balanced, and many — the Gondor Swordsman, Rider of Rohan, Elven Archer, Orc, Giant Spider, Warg Rider — are taken straight from Tolkien’s pages to your desktop. Each unit has an opponent to be feared on the field of battle, so with no one unit able to dominate skirmishes, a balanced army is vital. 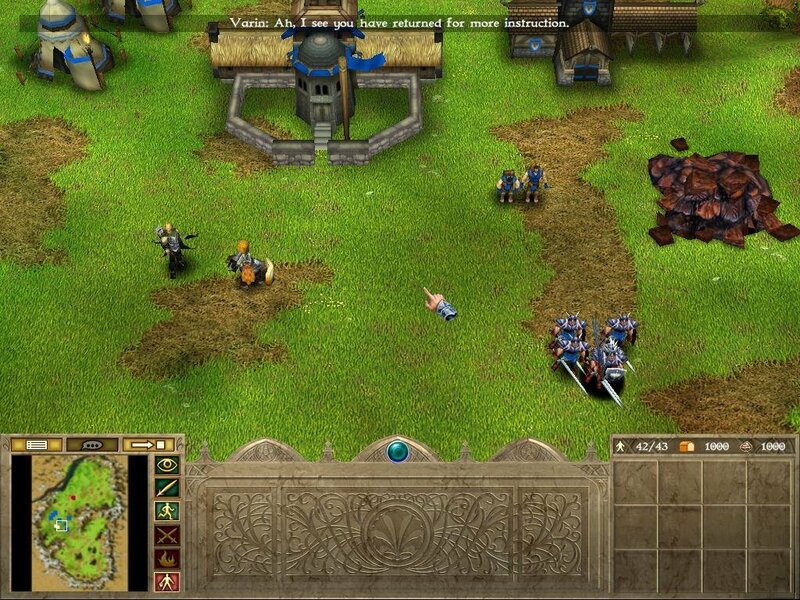 The game’s AI is capable s well, for an RTS game. The computer will scout the periphery of your base and probe for weak spots, more often than not attacking you in force at your most vulnerable positions, even employing distractions and hit and run attacks. 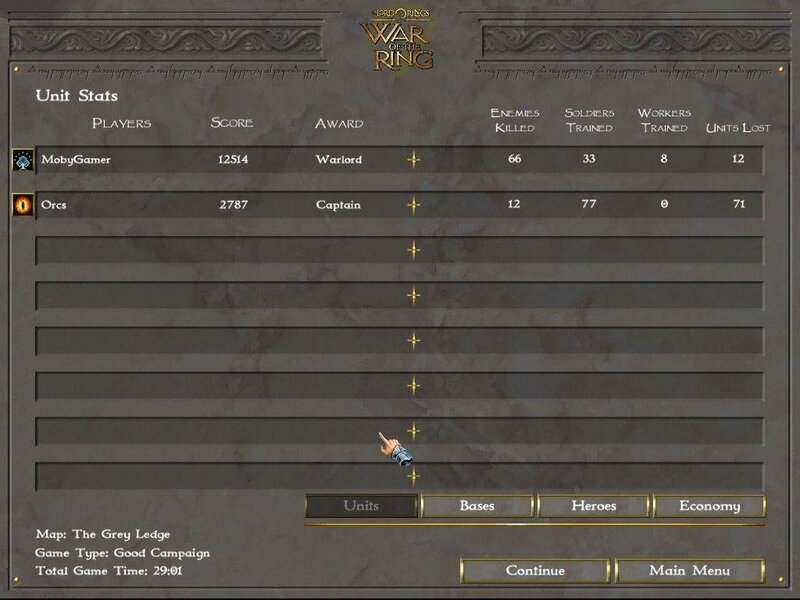 War of the Ring should be an RTS that will entertain Toklien fans. 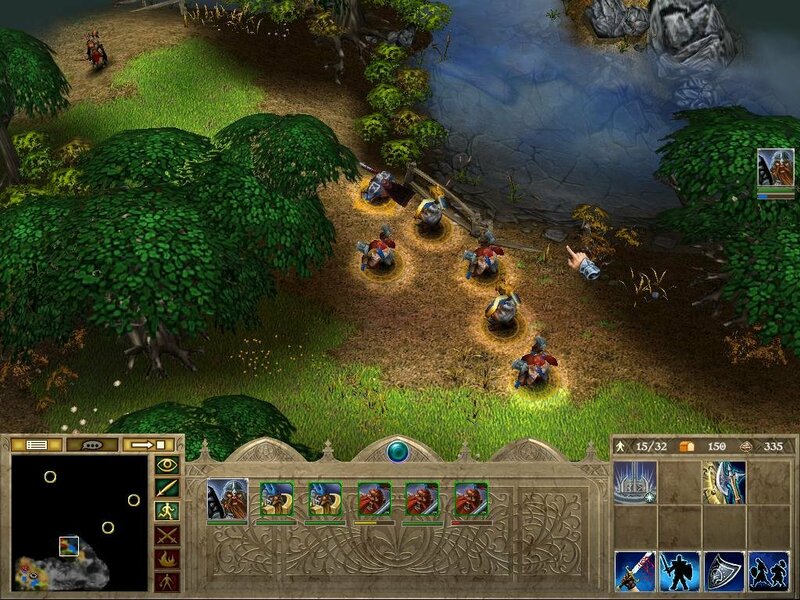 If anything, it allows you to replay Warcraft III without replaying Warcraft III. If you’re a tremendous fan of that game, and of the LOTR franchise in general, then consider this game a godsend. Folder is damaged or something, can not extract file at all.